Apr 12 2014	Need to polish up your knowledge before your checkride or knowledge test? Nervous about the oral test? Just want to learn more? Keep the last weekend in April free, we have just the deal for you! Coby Sena and Jen Delp-Mallet will be offering an intensive checkride / test preparation ground school on the weekend of April 26th and 27th, at Reid Hillview. Two full days of amazing instruction. Coby is also the local Civil Air Patrol check pilot (and former Squadron Commander), and Jen is a former airline pilot, rated in several jets and turboprops. If they cannot get you ready for your tests, noone can, so come and sign up now! As you may know, some of the figures on the FAA Knowledge Tests have been used without revision for decades and therefore look outdated. Fortunately for future students, the FAA is in the process of updating these figures. Gleim applauds this refinement, and we want to disseminate what we know about the FAA’s progress so that you and your colleagues can be more effective in preparing and passing the FAA Pilot Knowledge Tests. The FAA originally planned to release and begin testing with improved color figures for most of the Knowledge Tests on February 10, 2014. However, the FAA announced last week that only 2 new FAA Computer Testing Supplements are going to be effective on Monday, February 10th: (1) Sport Pilot, Recreational Pilot, and Private Pilot, and (2) Addendum A Computer Testing Supplement for Instrument. How have the figures changed? The FAA made every effort to keep the figures largely the same, with changes only for readability/enhanced aesthetics. Unfortunately, the Sport Pilot, Recreational Pilot, and Private Pilot Computer Testing Supplement was not easy for the FAA to update into color. For example, some figures are excerpts from Sectional Charts showing geographical areas with new landmarks. In some cases, airports have been renamed or even closed. Moreover, some Airport Facility Directory pages have changed due to alterations at the respective airports over the years, such as lengthened runways or additional taxiways. In addition to these aesthetic changes, all of the Sport Pilot figure numbers have changed because Sport Pilot now shares the same Computer Testing Supplement with Private. Some of the figure changes mandated edits to the associated questions so accuracy and viability could be maintained. However, if we look at the big picture of how those changes will affect students, the impact is minimal. For example, the symbols for airports and Class C airspace are the same. Frequencies may have changed, but their placement on a sectional chart has not changed. In one instance, Dallas Red Bird airport has become Dallas Executive airport. In this case, a student confident in his/her ability to read a Sectional Chart would simply note that the airport is now referred to as “Dallas Executive” instead of “Dallas Red Bird.” In this manner, almost all of the changes are not the kind that will trip up a Gleim student who has studied according to our plan. What does Addendum A mean for Instrument? Addendum A for Instrument consists of 105 new figures (Figures 155 – 253). Five of the figures are similar (for example, they may have the same approach or airport facility directory) to the current Instrument Computer Testing Supplement. There are no FAA-released questions associated with these 105 new figures. So, an Instrument student may encounter a question associated with the new figures, but the question will not test a new topic. Rather, a new question of this kind could be considered a parallel question to a current question in the Gleim materials. In other words, if a student understands how to answer a glide slope question for ILS RWY 12L at Des Moines INTL (DSM) (Figure 118), then (s)he should be able to answer a similar glide slope question for ILS or LOC RWY 36 OSHKOSH/WITTMAN RGNL (OSH) (Figure 252). Is Gleim providing an update to its courses and books? YES! Our online courses (OGS and Test Prep Online) will be updated by mid-February, and PDF updates for our books are already available at http://www.gleim.com/updates. Where can I find the new FAA Computer Testing Supplements? Following are clickable links for each new Computer Testing Supplement that will be testable beginning February 10. The next session of our popular Sport / Private Pilot Ground School starts Wed Aug 1, 2012. Classes are held Wednesdays at 6:30 – 9.00 pm. The ground school covers all the information you will need to fly safely and to pass the knowledge test. Some homework, in the form of extra reading is required. You can join the class at any point, and continue through the next session, or simply drop in for sessions that interest you. Cost is $220.00 for the complete course ($20 discount for EAA Members). Materials not included. You will need to buy books and materials. They ara available from the Instructor, or in any pilot shop. If you don’t want the whole course, you can drop in for single sessions, at a cost of $20 per session. Licensed pilots who want a refresher are welcome. You can join the class at any point, and continue through the next session. The schedule may be changed to account for public holidays or changes in the syllabus. Larry is our popular Sport and Private Pilot Ground School instructor. Larry had his first airplane ride at six and has loved airplanes and flying since. He began flying lessons in 1964 at the Navy Memphis Flying Club, soloed in 1966 at RHV and became a CFI in 1977, also at RHV. He admits to having his taildragger skills improved by Len von Clemm who also taught him aerobatics in 1978. 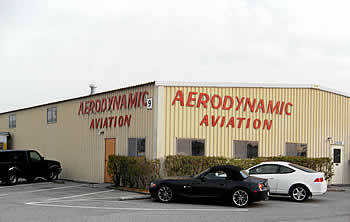 He taught in tail-draggers and tri-cycle geared airplanes at Amelia Reid Aviation and other flight schools since 1977. The next session of our popular Sport / Private Pilot Ground School starts Wed May 18, 2011. Classes are held Wednesdays at 6:00 – 9.00 pm. Cost is $220.00 for the complete course ($20 discount for EAA Members). Materials not included. You will need to buy a Gleim Pilot Kit – $119.95 for Sport and $149.95 for Private. Erik began his flying career in US Navy Aviation where his first flight was aerobatics in a T34C. He’s been avoiding straight and level flight ever since. Much of Erik’s flying has been in Alaska and the upper Midwest in a variety of good aircraft and bad weather. Erik received his tailwheel endorsement in a Pitts S2B at the Sean Tucker Aerobatics School, but he also has many hours in Extras, Decathlons and bush planes like the Piper Cub and Cessna 185. In addition, Erik has lots of “Glass Cockpit” experience and is factory certified to teach in Rolls Royce Turbines. Erik loves to instruct and can take you from Private through to Multi-Engine. He will teach you the mechanics and the practical application of theory safely and efficiently. I am delighted to announce that we have negotiated a $100 discount for the upcoming intensive weekend Private and Sport Pilot Ground School, on February 26th and 27th. This school, run by renowned aviation educator Fred Abrams, will prepare you, in just one weekend, to pass your Private or Sport pilot Knowledge Test. Normally $395, mention this blog article or Facebook post and get it for only $295. That includes the FAA Knowledge Test Prep book as well! Better yet, Fred offers a unique money-back guarantee. If after four hours you do not believe you are getting your money’s worth you can get your fee back, no questions asked. This school is also ideal for pilots close to their checkride or getting ready for their knowledge test, as a refresher and reminder of the areas needed to pass the tests. The only things you may need to buy if you don’t have them already, are a chart plotter and a E6B calculator (manual or electronic).